Mystery Monday – Coach Edition – Win a Free Month Membership! Today we’re going to do another round of MYSTERY MONDAY! Except this time, we’re going to throw in a couple twists to the madness. First off, one lucky poster will be chosen at random to receive a FREE MONTH MEMBERSHIP to FunGoPlay. All other correct answers will win 100 GoDough. Secondly, we wanted to step back and give a shoutout to the brains behind teams. It’s not always just the players, the coach plays just as crucial of a role. 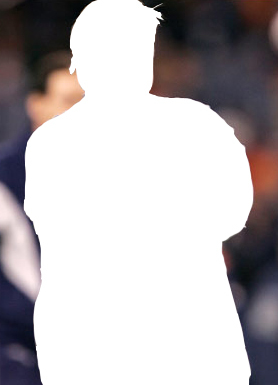 Today’s Mystery Coach is a controversial figure – disliked just as much as he is liked. Still, with the record this guy has, he is among the great NFL coaches in the game today. After spending most of his career coaching New York-based teams, he became the head coach of a rival team – where he had most of his success. So, who is this legendary Mystery Coach? Post your answer on the FunGoPlay Forums for a chance to win a MONTH MEMBERSHIP and GODOUGH! Posted by fungoplay on September 12, 2011 in Contest, Cool stuff.